Greetings all, we are running behind on updating the blog this week, so quickly, this is what is happening on the farm ! 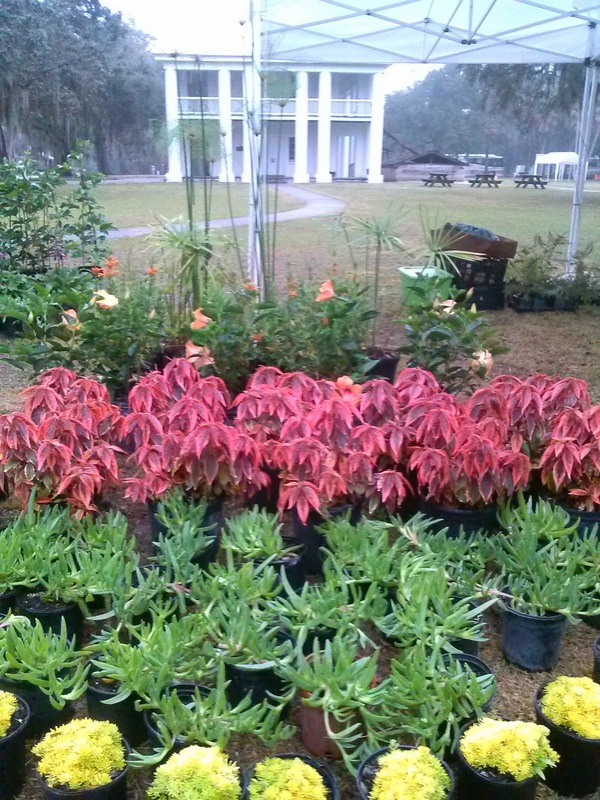 Last weekend, we had a great Market at St. Pete on Saturday and also a great weekend down at Gamble Mansion in Ellenton. Some nice cool air has just come in to bring in another beautiful Florida Market day at Saturday Morning Market this week. Also, on Sunday, we will be set up down at Bradenton Beach, at Coquina Park. We continue to vend at the Phillippi Mansion Farmers market in Sarasota each Wednesday though the end of February. Then we are off and running on our big Spring plant shows, so stay tuned for all the info about those and more...more...more !